It’s the January transfer window, and anyone who follows football, not the American version, knows that this is the midseason chaos that can affect your team and the league table. There has been a lot of speculation recently about the costs of different players, specifically the possible transfer of Lionel Messi to a different team in a potentially different league. For those of you who do not know, Lionel Messi is Argentina’s current brightest star, playing for Barcelona and under what the media has described as an internal conflict concerning his continued status and employment there. Another top name in the world of football who continues to be speculated about is Christiano Ronaldo dos Santos Aveiro of Portugal, who plays currently for Real Madrid. Personally, he has been my favorite player since 2003 when he came to Manchester United from Sporting Lisbon. Ronaldo has recently sparked further interest in his future by saying, once again, that he doesn’t know what the future holds for him, and he loves and respects Sir Alex Ferguson and Manchester United. This is the same Sir Alex that made Aberdeen FC (WOOHOO!) a respected name in football, and managed Man Utd. for more than 25 years. But how does this affect the cost of players? These are two great examples of personal advertising and cost correlation. Both Mssrs. 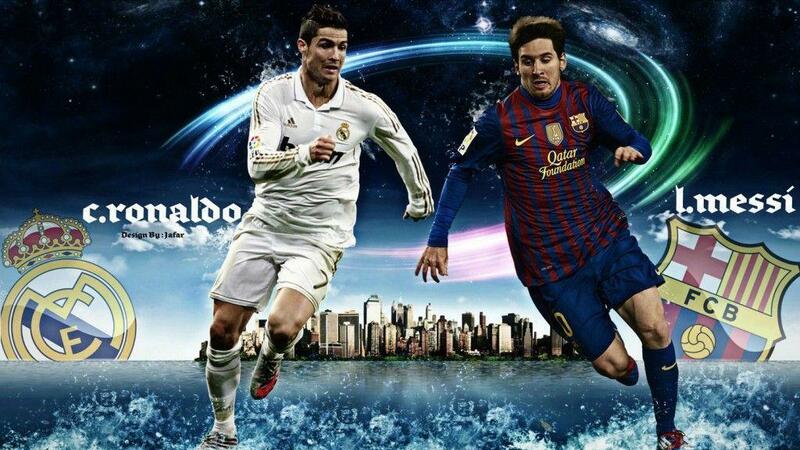 Ronaldo and Messi are two of the world’s best ever footballers and that talent is displayed on the pitch every week. They both take home millions of dollars in personal pay and endorsements each year, and this is where their advertising comes in. When Ronaldo appears in front of a camera with his son at the Ballon D’or awards, he is showing that he is a great father as well as a transcendent footballer. When Messi comes out in the press and says there is no conflict with him and his team’s manager he is inviting the media to speculate and drive up his transfer cost even further. Fun fact: Real Madrid values Ronaldo so much that they took out an insurance policy on his legs. You want personal advertising for professional athletes? How about that fact. You want to know something even crazier? Ronaldo has something like a ONE BILLION dollar buyout clause in his contract. That means, before the expiry of his contract, and team that wants to force a move for him (unless it’s Manchester United or Sporting Lisbon) is going to have to pay ONE BILLION dollars. Additionally, if a team wants to purchase Messi and take him to a different team or league, he will cost TWO HUNDRED MILLION plus dollars. That is more than the income generated for many businesses in a single year. This is what personal advertising can accomplish for a footballer. Their managers continue to ensure they get the right publicity, are always happy and make more money in a year than most people will see in a lifetime. And all because they can display an entertainment factor for the world, that more than 1 billion people watch. The lesson? If you want to make a product successful, put the name of a player or a football club on it (with their permission of course) and watch people flock to buy it. Can you think of any athletes that have encouraged you to buy or try a product for?